We’ve all heard the saying “a real man does not hit a woman”. Well in the case of Tajikstani taekwondo champion, Daler Tyuryaev he teaches women to defend themselves against men who do. 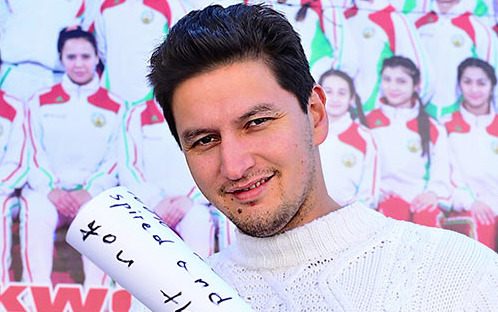 The 28 year old who is a prominent member of the National Taekwondo and Kickboxing Federation of Tajikistan says “strong men respect women” and he is living proof, given that he is leading a movement of martial artists in the battle against gender discrimination and gender violence in his country. The NTKF has partnered with the United Nations Population Fund (UNFPA) to promote his mission. According to UNFPA statistics, girls in Tajikistan have lower rates of enrolment in both primary and secondary school, and the World Economic Forum reports women are underrepresented in the labor force. When they do have jobs, women earn less money for the same work. In a 2012 survey carried out by USAID, 22 per cent of married women and 36 per cent of divorced or separated women said they had experienced violence since age 15. More than 76 per cent of these women said the perpetrator was their husband or partner. So Daler and other fighters have joined a network of men who are advocates for advancing the rights of women and girls. With support from the UNFPA, they hold camps, workshops and community gatherings educating people on gender violence and prevention. The men appear in videos and speak in media campaigns and public gatherings to increase awareness. “[I am] asking my fellows, young sportsmen and the public, to be the role models for others by showing respect to women and girls,” he said. “Most importantly, [I] do it together with my spouse – who is a Taekwondo champion as well – as equal partners,” he emphasized. 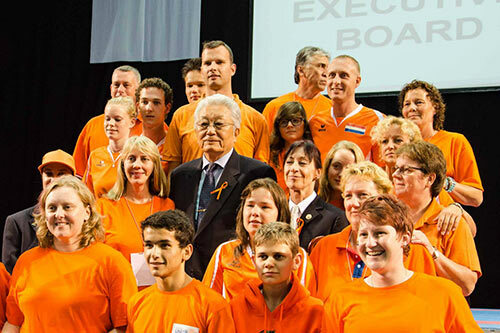 The issue of gender equality has been brought to the World Taekwondo Championships by the NTKF and also joined with the United Nation Secretary General’s World Orange Day which is a unity campaign to end violence against women. The UNFPA says this important message has already reached thousands of people and believes every person has the ability to create change. 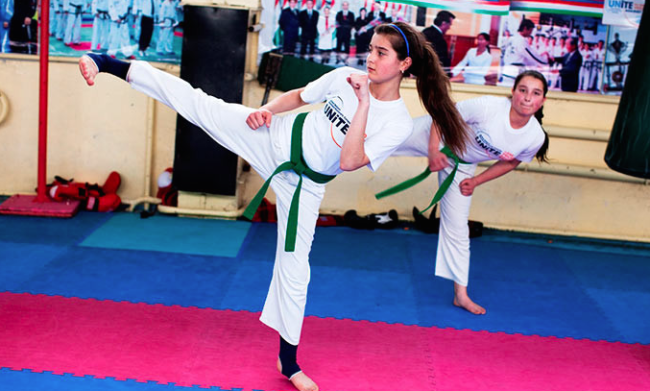 If a Tajikistani taekwondo champion like Daler Tyuryaev can mobilize men in his community to join the fight, it is a powerful reminder that we too can use our platforms and our lives to end gender discrimination.